In the mid-70s Baro (born Alberto Molesini), who was 10 years old, began to absorb the music heard by his elder brother GIanguido, keyboardist: Genesis, King Crimson, Yes, Pink Floyd, ELP, Frank Zappa. Tried to strum brother's keyboards, but for the needs of one of the first groups in which he was involved he started to deepen knowledge of electric bass. Chris Squire's style fascinated him and, as a side effect, he was thrilled by Yes' use of vocals. From the beginning the idea was to rework these models in a personal and creative proposal. In 1978 he formed the quintet La Sintesi, a band that straddled the Veronese scenes until the end of the 80s. In 1980 Baro composed and recorded, with rudimentary equipment, the first version of "Lucillo & Giada", a concept work that transposes in a sci-fi manner some of the experiences and fundamental choices of his adolescence. The project is unripe but ambitious. Some songs from this work are included in the "live" repertoire of La Sintesi, which they will be part of for several years. "Se Vorrai" will always be the preferred choice for the concerts outros, but Baro will never realize the dream of fully proposing his work. In 1983 he created "Topic Würlenio", from which other material feeds the band repertoire; "Tracce di una Avventura" comes out even on a vinyl compilation of Radio Studio 94. The following projects, intended for a third album, are more complex and ambitious and the home equipment will not be adequate to develop them. In Milan, where he attended the university, he joined the ELAM project with his cousin Emanuele, guitarist. The duo records a demo of songs between pop and metal. With the pseudonym Baxnug, Emanuele will release in 2015 the album "Ergonomic Rock". He will always be a regular listener and advisor to Baro, his musical twin soul. At the end of the 80s La Sintesi takes a break. Baro graduates, marries Daniela, goes to the army. 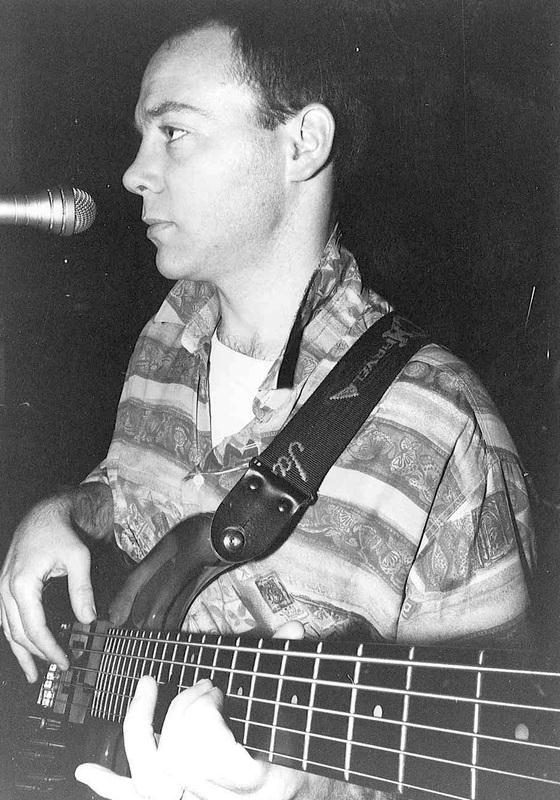 In 1988 he met Gianpaolo Begnoni (The Oneira) and joined the Hydra band giving his own vocal and instrumental contribution to the group's compositions. In 1991 4/5 of La Sintesi reunited giving life to Fratelli Brothers, a cover band that, with about 300 dates over a decade, will absorb all the musical energy of its members. In this time, Baro no longer works on his own material, until technology allows him to set up a new studio. To get to know the new workflow, he decided to try to serve justice to "Lucillo & Giada" and, in parallel, he resumed the interrupted projects with the aim of realizing the third album, first of this "new mature course". In 2004 he finished "Utopie": five tracks in total, three of which epics between 10 and 15 minutes. The attempt is to approach the design signature of Yes' and Genesis' classic prog. During this same period he met Stefano Bigarelli and began his collaboration with the prog band Marygold. In the following years Baro tries to improve his production skill and his youth works become a sort of open construction site. He alternates the support for La Sintesi reunion and Marygold projects, with bassist role in their acclaimed second work "One Light Year" which will be released in 2017. He resumes songwriting for a fourth album which, he declares, is compositively completed and recorded but does not yet have a theme to inspire the lyrics. - surprisingly discovers himself quoted by Max Salari on p. 3 of the "Progressive Italian Rock 1980 - 2013" encyclopedia. For all this he decides that the time has come to close the oldest sites and to officially reveal his prog-jets. It's nowadays, and the albums "Lucillo & Giada" and "Topic Würlenio", in double package, will be released at the beginning of 2019.